Released in Japan only, on 3 October 1983. Unknown director, producer etc, although the two tracks from this concert included on the 'Hot Space' 2011 reissue are credited as recorded by Mr Takanashi, assisted by K. Yakota. Recorded at the Seibu Lions Stadium, Tokyo, Japan, on 3 November 1982. At the start of 'Now I'm Here' and 'Under Pressure', there is additional footage of Queen's road crew preparing for concerts from 1981 and 1982. Selected tracks, namely Flash, The Hero, Now I'm Here, Put Out The Fire. 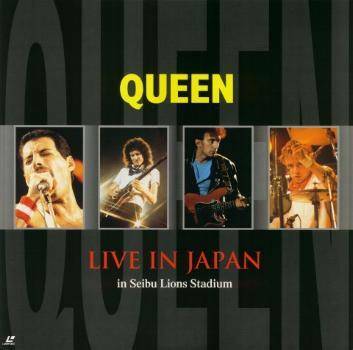 Dragon Attack, Now I'm Here (reprise), Crazy Little Thing Called Love and Teo Torriatte, were later released on the Queen On Fire - Live At The Bowl DVD as the 'Tour Highlights From Tokyo' feature. 'Save Me' was later released as a bonus video on 'The Game' 2011 iTunes LP, while three tracks originally omitted from the release, 'We Will Rock You (fast version)', 'Action This Day' and 'Calling All Girls', were later released as audio tracks on the 2011 double disc reissues of 'News Of The World' (and it's 2017 40th anniversary boxed set) and 'Hot Space'. 'Calling All Girls' had also previously appeared on the 'Queen On Fire - Live At The Bowl' DVD, as the audio track on the Photo Gallery. 'Love Of My Life' and 'We Will Rock You' were both later included as exclusive bonus features on the Japanese DVD and Blu-ray releases of the 'Days Of Our Lives' documentary. The video was released on VHS in 1983, and reissued on Laserdisc in 1986, VHS in 1992, and on both VHS and Laserdisc in 1999. Every release was exclusive to Japan. This is a backing track, similar to the album version, and segues into 'The Hero'. It was later included on the Queen On Fire - Live At The Bowl DVD. This track segues from 'Flash's Theme', and was later included on the Queen On Fire - Live At The Bowl DVD. This track segues into 'Put Out The Fire', and is preceded by a short guitar intro, during which there is footage of the road crew. It was later included on the Queen On Fire - Live At The Bowl DVD, without the intro or road crew footage. This track segues from 'Now I'm Here' and into 'Dragon Attack', and was later released on the Queen On Fire - Live At The Bowl DVD. This track segues from 'Put Out The Fire' and into the reprise of 'Now I'm Here', and was later released on the Queen On Fire - Live At The Bowl DVD. This track segues from 'Dragon Attack' and was later released on the Queen On Fire - Live At The Bowl DVD. This track was later included on the Japanese 'Days Of Our Lives' DVD and Blu-ray releases. This track features a short piano intro by Brian, and was later released as a bonus video on 'The Game' 2011 iTunes LP. This track features Roger drumming towards the finale. 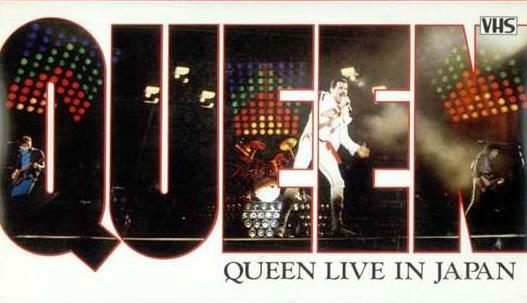 This track was later included on the 'Rare Live' video and 'Queen On Fire - Live At The Bowl' DVD. The above time includes a short piano intro. Freddie: Goodnight, thank you everybody. This track was later included on the Queen On Fire - Live At The Bowl DVD.